The Erie Canal: John Quincy Adams was the 6th American President who served in office from March 4, 1825 to March 4, 1829. One of the important events during his presidency was the construction of the Erie Canal. Summary and definition: The Erie Canal was the nation's first Important transportation system connecting the Atlantic Ocean, via the Hudson River in Albany, eastern New York, with Lake Erie. The Erie Canal stretched for 363 miles providing the first waterway connecting the Great Lakes with the Atlantic Ocean. Construction began on ‎July 4, 1817, it was first used on ‎May 17, 1821 and finally completed on ‎October 26, 1825. Definition: A canal is an artificial waterway that is constructed to allow the passage of boats inland carrying produce and passengers. John Fitch launched a steamboat called the 'Clermont' on August 17, 1807 which carried passengers from New York City 150 miles to Albany. People began to consider the advantages of connecting one steamboat route on the Hudson River with other steamboat routes on the Great Lakes via a canal. Although a canal could not take a steamboat it would make traveling and transporting goods across the Appalachian Mountains much easier, cheaper and and quicker. Plans for the construction were proposed in 1807. Construction eventually started in 1817 and this great feat of engineering was opened on October 26, 1825. De Witt Clinton was right in his beliefs and, within a year of opening the Erie Canal, the cost of carrying a ton of grain from Lake Erie to the Hudson River fell from $100 to just $15. Other canals were built and became and enormous source of state revenue. The New York State Canal System consisting of the Erie, Champlain, and Oswego Canals paid for themselves in the first 10 years of operation. The system earned over $120,000,000 in tolls between 1826 and 1883. New York City soon became the center of trade and finance in the United States and the Erie waterway was perceived as an engineering marvel and some even called it the "Eighth Wonder of the World". It inspired a canal-building boom, other canals were built, improving transportation across the U.S. The 1824 General Survey Act was a law passed by the United States Congress in April 1824 that was extremely important to the development of additional canals in America. The General Survey Act authorized the president to have surveys made of important transportation routes. The law specified that surveys were made for routes requiring roads and canals "of national importance, in a commercial or military point of view, or necessary for the transportation of public mail." The responsibility for the surveys was assigned to the Corps of Engineers. The following fact sheet contains interesting facts and information on The Erie Canal. Where is the Erie Canal located? The above map shows its location from the Atlantic via the Hudson River in Albany New York all the way east to Buffalo, Lake Erie. The first 15 miles (24 km) stretching from Rome to Utica took two years to complete - delays were encountered due to having to clear so many trees. 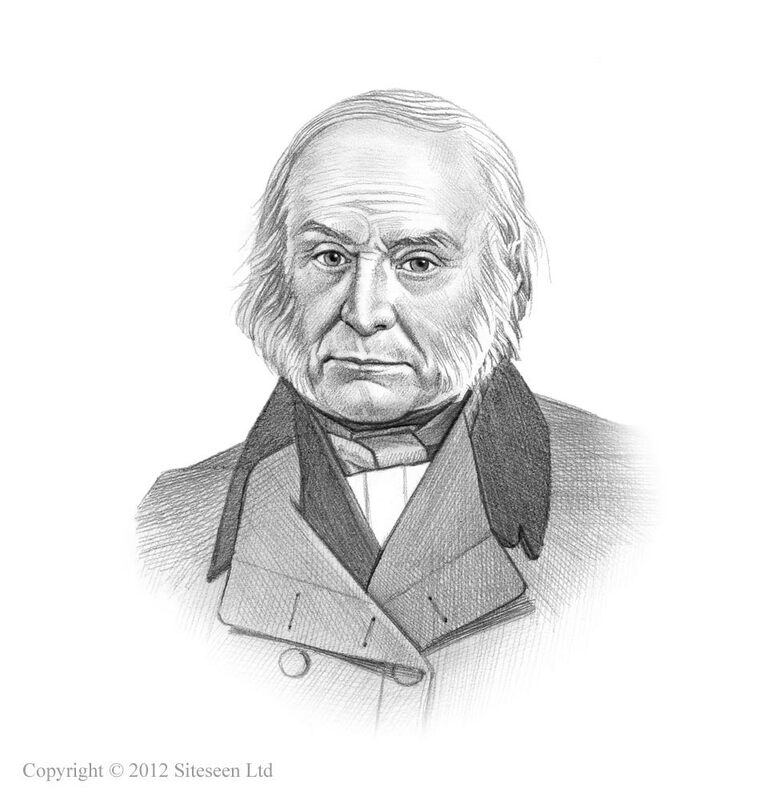 The name of the Principal engineer of the waterway was Benjamin Wright (1770-1852). In 1969 Benjamin Wright was declared the "Father of American Civil Engineering" by the American Society of Civil Engineers. The success of the waterway venture led to a boom in canal-building. The Champlain Canal was opened in 1823 and was 66 miles long. The Oswego Canal was 38 miles long and the Cayuga-Seneca was 27 miles long, both were opened in 1828.